“We like the concept, but can you find us a free photo?” the client asked. I remember laughing inside when she asked. This was ten years ago, when print was king and the most stock photos were either rights managed and gorgeous or royalty free and cheesy—and nothing was free. My how times have changed. We no longer have only the 3-4 big photography wells to choose from—sources for incredible photos have exploded. And even great video is available, if you know where to look. Don’t get me wrong—we still never underestimate the value of a fantastic photo, or even an outright, all out, no-holding-back photo or video shoot. For the right campaign, copious amounts of money and hard work are necessary to beckon attention and deliver the message with clarity and force. No consumer has ever complained that they haven’t had enough information thrown at them today—to rise above all the noise, sometimes money has to be spent. But sometimes, it doesn’t. When our clients are working with a limited budget—when they say to us, “Can you find us that for free?”—we think about the campaign and say, “Maybe.” Then we get creative. Consider a recent campaign we completed for Memorial Health System in Springfield, IL. Instead of being the only Level 1 Trauma center in the area, they all of a sudden had a competitor. Memorial needed to communicate the message that in an accident or emergency, you have a choice for trauma care—and when you consider their experience and incredible team, Memorial Health is the obvious choice. Accidents are fear-inducing and emotional, and the message from Memorial is this: During scary times, rest assured. We are there. For the campaign, we wanted to capture the fear that is experienced when you are in or witness an accident. 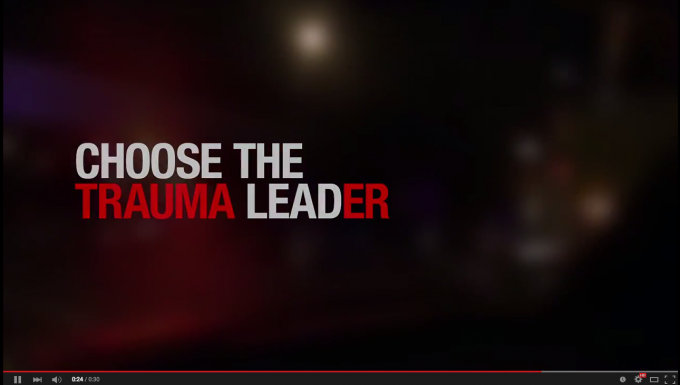 The obvious choice for this message was a TV spot since TV is the best medium for delivering an emotional message. But the cost to set up a video shoot that could capture an actual accident would be astronomical. Rather than scrapping the idea, we considered other sources for accident footage. Much of the fear and common experience of approaching an accident lies in the lights and sounds—so we used cell phone footage filmed at the scene of a car accident that had occurred at night. We took the video, stripped it of its sound, blurred the footage into a beautiful bokeh, and added our message. The spot piques the curiosity everyone feels when approaching an accident scene and combines it with the relief that everything is being taken care of by experts. While TV was the anchor medium for this campaign, we also reinforced the TV message with a radio spot that had a voiceover deliver the words that were written on the screen, as well as billboards and a few print ads. And the spot is designed to play well online—inside Twitter or Facebook it can play, even at a small size, without sound, on desktop and mobile. We used large type and simple graphics with this in mind. If you were in or around Springfield this spring, you no doubt saw or heard at least one of our messages. Interested in having us help you with your next campaign? Contact us today.